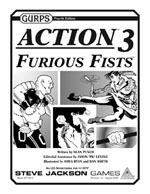 The excitement continues with Action 3: Furious Fists. This guide to martial-arts mayhem includes five totally new archetypes for your own personal game of death: the hulking big guy, the untouchable fast guy, the stealthy ninja, the athletic traceur, and the lethal-weapon master. Some of these guys fight barehanded, but they don't come empty-handed – you get all the special martial-arts advantages, perks, and techniques they need to dominate. Rounding it out are exotic weapons, new combat options, and practical advice on bringing high-kicking, katana-slashing action to the world of fast cars and big guns. 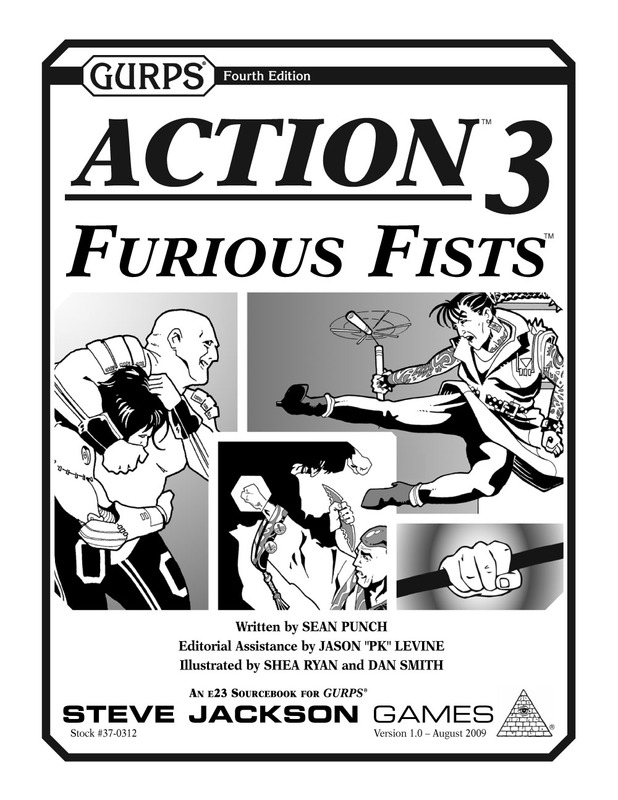 Check out the full GURPS Action line for more guns-blazing action!